Do you or someone you love have alcohol or drug problems? Have you or your family member tried to cut back or quit only to find it too difficult to change this unwanted habit? Substance dependency has been described as a “hijacking of the brain.” What once was just for occasional pleasure or relaxation has become a prison from which there seems no escape. You are no longer in control but rather are a slave to the alcohol or drug. If you are reading this, you’re probably thinking very seriously about making a substantial change in your life. You are thinking about reaching out for help for yourself or your loved one. As you consider this, please know that you are not alone. Help is available – professional, private, and compassionate. Counseling for alcohol and drug problems can help you find the inspiration and motivation for which you are searching. You will also gain specific tools and skills you can begin using as soon as you are ready to be released from your prison of dependency! If you are living with an addict, you will receive support and guidance to deal with all the emotional ups and downs that come with trying to “hold things together.” You can gain a new perspective and find hope for a better life! One particularly helpful strategy in counseling someone with a substance problem is Motivational Interviewing. Using techniques from Motivational Interviewing, a person is led through a personal exploration to help enhance their internal motivation to make desired changes. The theory behind Motivational Interviewing is that most of us experience internal ambivalence when deciding to make a big change. In other words, the most mature, logical part of me knows I should stop drinking (or whatever the change is), but another part of me really doesn’t want to stop for various reasons. These reasons are often unknown to the conscious mind, but have a strong influence on behavior. During Motivational Interviewing, your counselor will help you resolve this inner ambivalence and begin taking steps toward growth, healing and freedom. Whether you are struggling with substance dependency, or you are struggling in a relationship with an addict, you can get help. 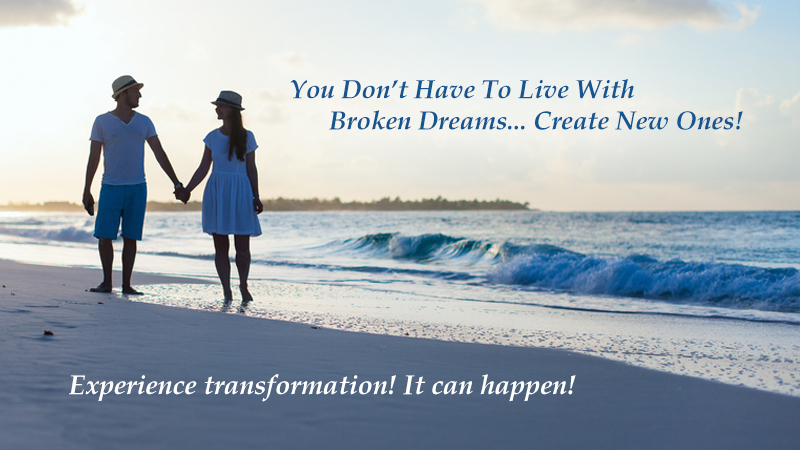 You don’t have to live with the broken dreams of addiction…create new dreams now! Contact St. Petersburg Counseling at 727-437-6222 or go to our Contact Us page.